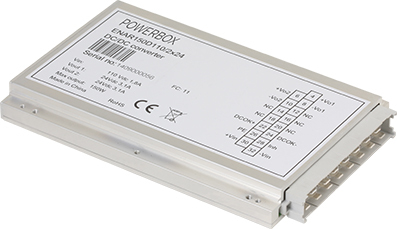 The ENAR 150D family of 150 Watt DC/DC converters are designed for the latest demanding needs of the railway industry. 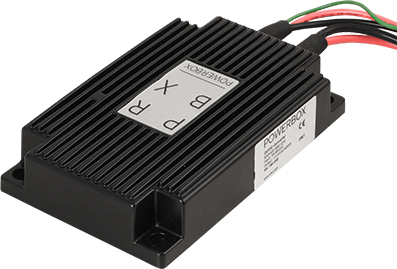 The highly integrated design using well proven technology with high integration and few external components, gives extreme high reliability and long trouble-free operation. 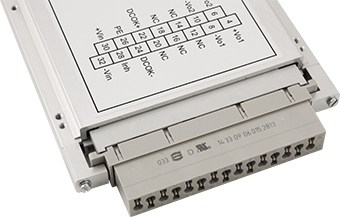 The converter is built to be compatible with the established mechanical and connector standards used in the railway industry. 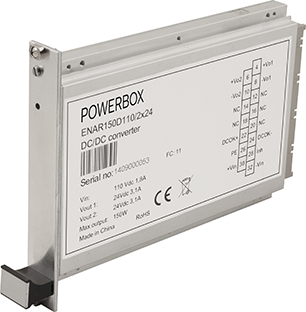 The ENAR150D has two independent outputs that gives outstanding flexibility in one box. 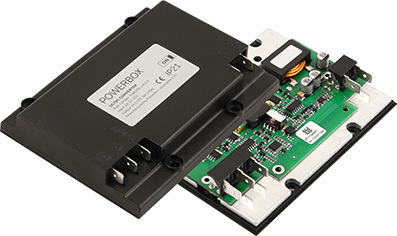 It can be used separately as two independent outputs, in parallel for double power of single output, in series to create double output voltage level, or in serial with grounded center connection to create a +/- voltage. With an output power of 150W, an efficiency of typical 93%, compact mechanical dimensions and approvals to most of the relevant railway standards the ENAR150D is in the frontier of its power class. 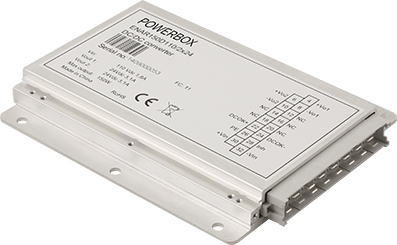 DC/DC power supply with wide input voltage range for railway / rolling stock applications. MOQ may apply on certain models.